Particle pollution, which is also called particulate matter or simply PM, is a mixture of extremely small solid and liquid droplets that get released into the air. Once inhaled, these minute particles can wreak havoc on the heart and lungs as well as the environment. This type of pollution can come in a wide range of shapes, sizes and components. Because of this, it's important for people to understand which particles are the most problematic so that they can adequately protect themselves. PM is an inescapable part of life. Whether a person is indoors or outside, there will always be particulate matter in the air. For example, larger particles such as dust, dirt or smoke are common in all environments. These are referred to as "coarse" or "large coarse" particles. Thankfully, while particles of this size may be irritating to the mucous membranes, they are not harmful in the same way that smaller particles can be. Gas such as organic compounds, carbon monoxide and other volatile matter are often the cause of serious respiratory health issues. Health agencies have even linked this type of air pollution to premature deaths. These particles are grouped as fine, ultrafine or nanoparticles. They are small enough that they can enter a person's lungs and cause adverse health problems. And they are invisible. This is why it's recommended for homes to have a professional indoor air quality monitor that can track things like carbon monoxide levels and exposure to other dangerous PM. Particulates pollution can have serious effects on the environment as well as human health. These issues can quickly create lasting problems that affect the entire planet. Fine particles are responsible for the haze that can sometimes be seen in urban regions and scenic areas. In scenic areas such as forests, mountains and national parks, this is a problem because it interferes with the beauty of the view. For those in cities and surrounding urban areas, this decrease in visibility can be quite dangerous. Because there is a much higher population density, limited visibility means that there is a greater chance for traffic accidents and injury to pedestrians. This haze of volatile organic compounds can adversely affect indoor air as well, so it's wise to keep a smart indoor air quality monitor inside to protect the health of everyone in the building. Nitrogen oxides, sulfuric acid and other volatile compounds participate in the formation of acidic particles and hence acidic rain, when they eventually settle into the ground and seep into the water. This can make freshwater lakes and streams acidic, which can lead to harmful acid rain. Acidic rain or snow can not only damage the balance of certain aspects of nature, but it can also stain and erode building materials and even monuments and statues. Stone, brick and porous materials are especially susceptible to this. Many of the planet's ecosystems are delicately balanced to support plant and animal life. When particulate pollution is heavy in an area, it can have a huge impact on forests, wildlife and coastal regions. It's common to find large patches of dying trees in forests affected by PM. The groundwater becomes too acidic, and vital nutrients are leached out of the soil, which prevents the trees from growing. Streams and oceans can give people a glimpse at the environmental impact of PM as well. There are many aquatic life forms that cannot tolerate increased levels of acidity from polluted rainwater. This means that important parts of these ecosystems will die off rapidly and cause the entire area to suffer. For example, frogs can survive in water that is pH 4, but the insects that these frogs depend on for food cannot survive once the pH of the water and soil drops below 5.5. Even if the frogs are alive, they will quickly die off because their food source has disappeared. This causes a ripple effect throughout the entire ecosystem. Environmental exposure to particulate matter is not always avoidable, but people can learn how to monitor air pollution at home in order to benefit their own health and safety. The easiest way to stay safe from the environmental dangers of nitrogen dioxide, carbon dioxide and other harmful particles in the air is to find the best air quality monitoring app for the area and to check it frequently. In regions where air quality is frequently bad, it is often worthwhile to invest in special masks (not all are efficient) that cover the mouth and nose to protect the lungs from harmful particulate matter when venturing outdoors. Most homes and offices can also benefit from installing an air quality monitor that tracks the levels of environmental pollution as well as indoor air quality. Referencing this type of air quality monitor can help people understand how to better filter the air indoors so that harmful particulate pollution is not circulating through the ventilation systems. 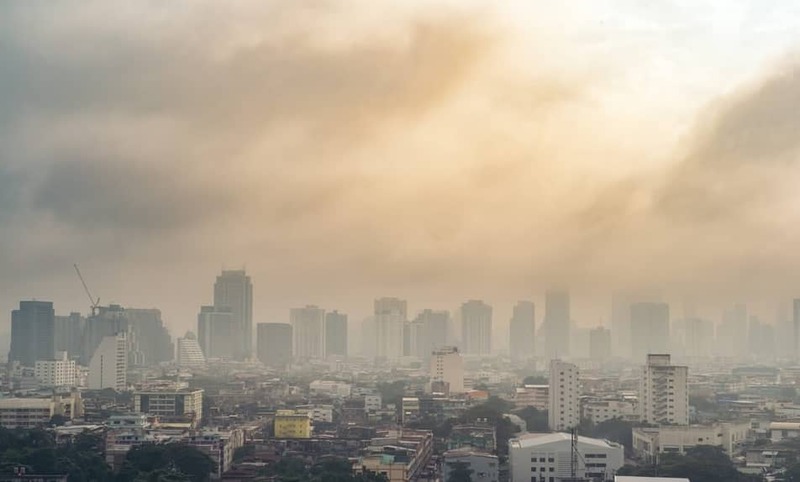 Because air pollution exposure can cause serious health issues, harm the environment and potentially even lead to premature death, it's important for everyone to take air quality monitoring seriously.